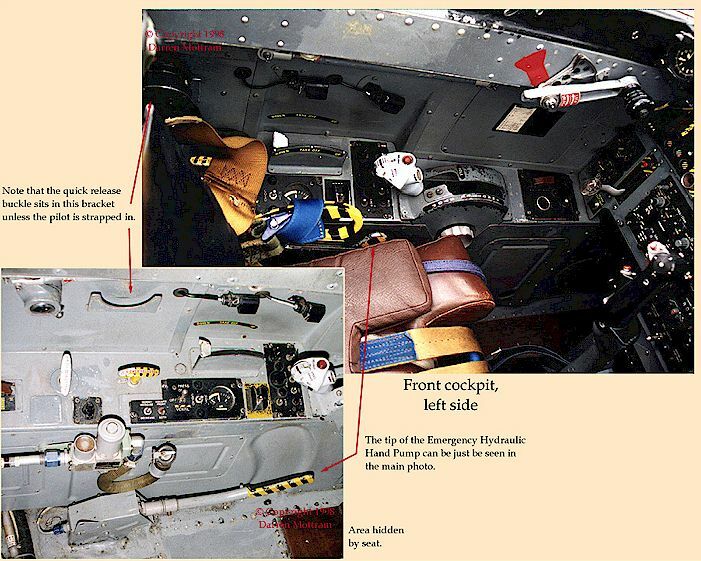 Part Two of "Aermacchi MB326H in RAAF Service" is a detailed look at the cockpit area and seats of the Macchi. This will be a real boon to modellers lucky enough to have one of the old Esci kits in 1/48 scale. The format of this article is slightly different to other HyperScale features. The pictures literally tell the story. There are one or two large images with relevant captions and pointers on each page, and a link to the next page to view the next two images. It may take a few minutes for each large image to load. Copyright (c) 1998, Darren Mottram. All rights reserved. All images by Darren Mottram unless otherwise stated. Material appearing within this document may not be copied, stored or reproduced in any device or publication, in whole or in part, for the purpose of profit without the expressed written consent of the author.